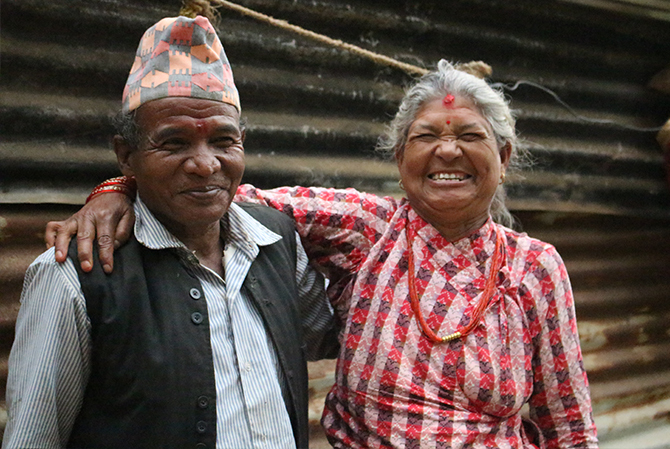 Following the devastating Nepal Earthquake, we’re working with our local partners to support older people affected by the disaster. UPDATE: A second major earthquake registering 7.3 on the Richter scale struck eastern Nepal, with the epicentre midway between Kathmandu and the Everest area. More than 30 people are reported killed and more than 1000 injured. This comes only two weeks after the quake that is now known to have killed more than 8,000 people. 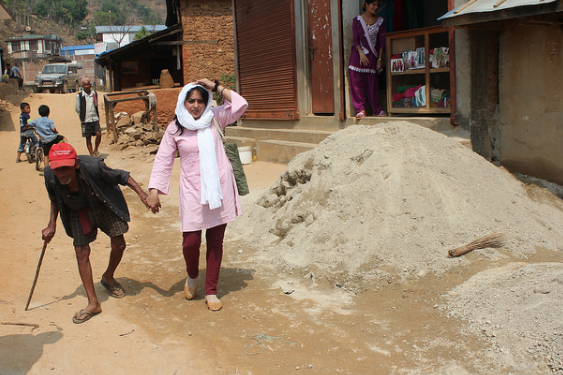 We’re carrying out rapid assessments and distributing cash transfers. By the end of the week, we will have started distributing cash to 10,000 older people and their families. This will be done through a combination of physical cash transfers and using the remittance and money transfer agents that are in place across the affected areas. Our work will take place in 11 of the 13 worst affected areas, with the support of 5 of our current partners. Why cash transfers? They allow people to buy items they need most whether it’s food, shelter, medicine, or as a means to start earning an income again to support themselves and their families. 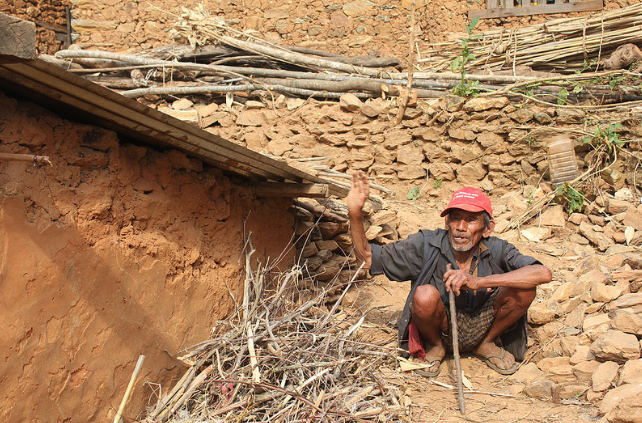 Dupha sits beside the rubble of his house after the earthquake. We are also collaborating with other agencies, including CBM (a disability organisation) and Handicap International to make sure older people are included in the wider response. This will mean that everything what is given out will be age-friendly and appropriate for older people. We are supporting our local partners to make strong statements to ensure that organisations responding to the disaster are aware of older people’s specific needs, for example for mobility aids or medical care for chronic diseases. We are currently assessing the most effective health and nutrition response so that older people can access the healthcare they need for chronic diseases, such as diabetes and hypertension, as well as other health conditions. Health agencies confirmed that people who suffer from chronic diseases have not been prioritised in the aftermath of the earthquake, even though these conditions affect most older people.